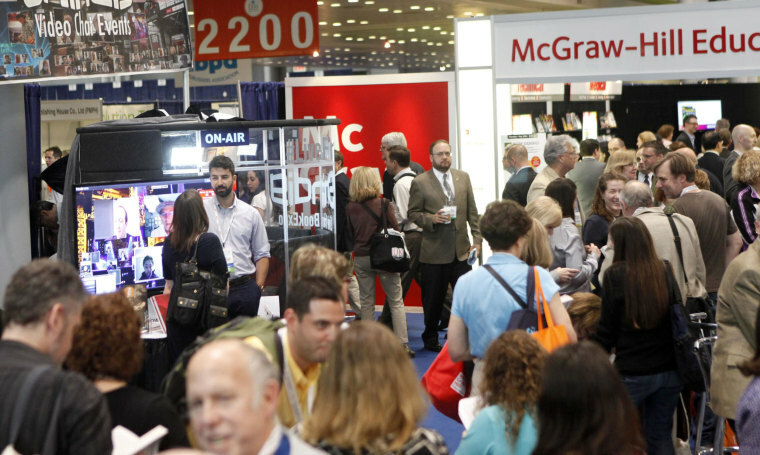 From Wednesday to Saturday, thousands will gather at Jacob K. Javits Center in New York for BookExpo America, a convention predominantly organized by whites, spotlighting books predominantly written, edited and published by whites. Diversity in publishing has been in the news recently. A study from a University of Wisconsin-based commission reported that just a tiny percentage of children's books last year featured non-white characters, and a recent essay in the New Yorker by Pulitzer Prize winning fiction writer Junot Diaz attacked the "unbearable too-whiteness" of creative writing classes. A social media campaign, We Need Diverse Books, was launched earlier this month in response to a Blockbuster Reads panel scheduled Saturday at the Javits center that features four white, male authors. In response, organizers created a new panel, The World Agrees: #WeNeedDiverseBooks, with speakers including Grace Lin, Jacqueline Woodson and Matt de la Pena. "That this actually happened says almost everything you need to know about where the publishing industry is at with its `diversity issues,'" said Junot to the AP. "You only need to look at the abysmally low number of kids' books by people of color that the industry publishes to sense that the problem is deeper than BookExpo." Non-whites are absent, or close to it, on executive boards throughout, from the Association of American Publishers (AAP) to the American Booksellers Association (ABA) to the Association of Authors' Representatives (AAR). Overall, the industry has few prominent non-white publishers, editors, agents, booksellers or book critics. Publishing officials and critics of the business cite a variety of reasons for the small number of non-whites, from the low pay that makes it challenging to recruit young people to an entrenched industry culture comfortable with what it knows. The marketplace has also worked against nonwhites as many African-American and Spanish-language bookstores closed over the past 20 years because of superstore and online competition. Gail Hochman, president of AAR, says she does not see "barriers to offering jobs to various types of people." But Nora de Hoyos Comstock, who founded Las Comadres Para Las Americas, an international network which includes a natioal Latino book club, says she knows of many Latinos who are anxious to join the industry, but cannot. "Clearly any attempt at a fix will have to confront a multitude of formidable structural challenges," Diaz said, "but that means that the structural commitment to diversity has to be equally as formidable."